Spencer Proffer and Meteor 17 (www.meteor17.com) brought space, science education and inspiration via entertainment, to America's youth (K-12) and their families via a one night theater events on over 600 screens for each exhibition, across America in 2016.. The U.S. Space & Rocket Center (Space Camp) was closely aligned in building out the events along with the Meteor 17 team. 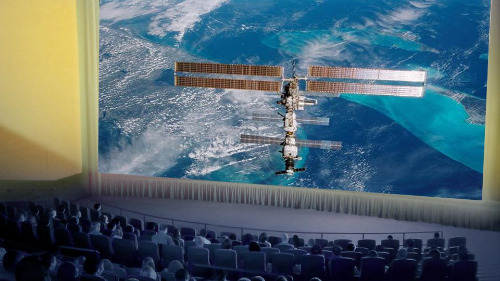 Our events turned theaters into virtual planetariums - becoming the coolest Science Center, uplinking with the International Space Station in real time. We delivered unprecedented access to space travel aboard the ISS in a state-of-the- art, digital movie theater presentation featuring a live feed to the astronauts. We had a panel of the world’s foremost experts and space personalities, cutting-edge visual effects and music, as well as captivating content... all from the comfort of movie theater seats nationwide. Our event also showcased unique space footage as well as well known guest speakers to participating theaters across America (@ 500 cities). Our special night demonstrated to the general public discover the awe and wonder of space and ignite those already enamored with the beyond. Our evening merged today’s astounding science, the magic of the Big Screen and viewers’ imaginations to reflect the public’s growing awareness of the coolness factor of space exploration in an event series that transforms local movie theaters into virtual travel portals. Meteor Space Night helped the “would-be” explorers (particularly 12-24 demo), the general population enamored with “space,” as well as business and government folks who are looking toward the future of space exploration and what role they might play. These theater events generated nearly 40 million impressions per each 30 day promo before the event night on between 6000-8000 screens nationally. The TIVO proof real estate exists via trailers right before the previews to film begin, IN lobby plasma screens as well as one sheet posters in select participating theaters. Branches of our government endorsed our theatrical platform for reaching the masses and understand the power of our platform to inspire, engage, enlighten and even enlist the general public in programs important to our nation. Proffer and Meteor 17 are pioneers in the area of bringing space, science and education through entertainment to the country. With a deep commitment to educating kids, Proffer donated 25 scholarships to Space Camp in 2012: Space Camp Scholarships - Wall St. Journal news break.